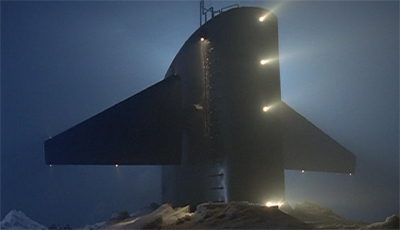 Towards the end of End Game, Mulder stumbles across a nuclear submarine that was attacked in the episode’s teaser. The craft was disabled by a strange craft it picked up in the ocean. Now, following a mysterious alien figure across the world in a quest to find his sister, Mulder approaches the location of the lost American submarine. As he does, he notices the submarine’s coning tower, bursting through the ice. It’s one of those beautifully iconic television moments. It’s an image that is audacious and stunning and beautiful and breathtaking. It immediately gives End Game (and Colony) a sense of scale. 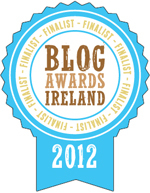 All of a sudden, this isn’t just a bunch of stuff happening under the radar in some small town somewhere. This is the hijacking of a nuclear submarine by a hostile entity. This is Mulder going to the ends of the Earth to get his sister back. It’s also worth noting that the symbolism is beautiful. Even looking at a picture of Mulder on the ice conjures up all manner of associations. Coupled with the non-linear storytelling employed by Colony and End Game, it calls Frankenstein to mind – Frankenstein serving as a massively influential text on Chris Carter. 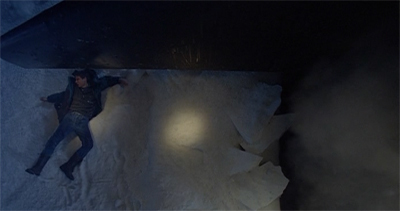 However, the idea of Mulder finding important existential answers on an Arctic soundstage also evokes Clark Kent’s self-discovery in Richard Donner’s Superman films, playing into the sense that this is an episode framed in cinematic terms. The rest of the episode could just be dead air, and End Game would still work impressively well. However, End Game remains a fantastic piece of work in its own right, effectively codifying how a two-parter is meant to work. Colony and Endgame really jump-start the mythology of The X-Files. While the show had woven a loose thread through the stories dealing with government conspiracies and aliens before, Colony and Endgame kick things up several notches by setting the tone for what is to follow. These are the episodes that set the template for the show’s mythology-driven two-parters. They do such an effective job that the show stays with the format for the next four years. Colony is largely driven by concept, with any number of intriguing mysteries and compelling hooks. The episode leaves an impressive number of mysteries dangling, setting up impossible situations and absurd twists. It maps out an impressively large canvas for the story that will follow. This is really standard operating procedure for a cliffhanger on any television show – throw the balls in the air and count on the audience coming back to see you catch them. As a rule, The X-Files did this very well. However, it was the way that The X-Files handled the second part of two-part episodes that distinguished it. Traditionally, on television shows well into the nineties, the second part of a two-part story exists to catch all (or at least most) of the balls thrown into to air in the first part. As a rule, the second episodes in the big mythology two-parters on The X-Files generally eschewed this. While the immediate situation was resolved, the bigger questions were left unanswered. These second episodes frequently compensated for this lack of “big picture” resolution in a number of ways, using some clever slight of hand in the process. For one thing, they traditionally moved with the momentum of a runaway freight train, leaving the audience less time to worry about the bigger picture. 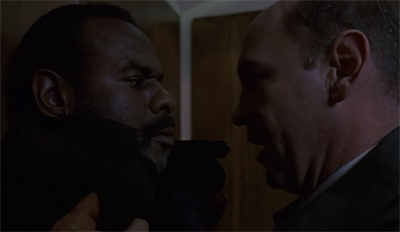 They also usually featured set pieces or hooks that distinguished them from the earlier episode – Apocrypha gives us a thriller teaming Mulder with Krycek and an alien; 731 gives us Mulder and a government assassin locked in a train car. This was one of the first big production two-parters that we did. It became sort of a staple of the series and we sort of stumbled on to this formula, but they did sort of follow a pattern more or less, and the pattern was that the teaser of the second part, which this is, would sort of introduce a new element. I mean, there was plenty going on in part one of Colony and suddenly here you are off the coast of Alaska in this nuclear submarine and you’re wondering how this is going to reconnect with the narrative you saw last week. The mythology of The X-Files is essentially a shell game, but it is an exceptionally well-executed shell game for the first five or so years of the show. It is interesting to try to contextualise Colony and End Game in terms of the over-arching narrative. What’s interesting about this set-up is that the show actually turns the revelations in Colony and End Game on their head in later seasons. 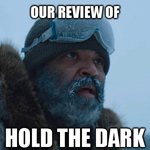 Indeed, Patient X and The Red and the Black radically re-contextualise the events of Colony and End Game by postulating a civil war between the various alien factions at play in the show’s over-arching mythology. However, Samantha’s statement is thrown into sharp contrast by the revelations in The Red and the Black. It turns out that the colonists are interested in taking control of the planet from mankind. While Samantha seems to suggest that these colonists would simply wait out mankind’s time on Earth, their plans are subsequently revealed to be far more insidious. These colonists plan to effectively conquer the planet and exterminate mankind. This would suggest that the bounty hunter at work in Colony and End Game is not an agent of some authority trying to shut down an errant scientific experiment. He is a member of the rebel faction in this alien civil war, the group opposed to the colonisation of Earth. This is the faction that would subsequently be revealed to be opposed to the government conspiracy. Indeed, End Game supports this interpretation in a number of ways. Unlike the colonists, the bounty hunter does not cooperate with the United States government. He sinks an American nuclear submarine in the teaser, and murders its crew. Mr. X reveals that the United States is preparing to take direct military action against the bounty hunter. “An attack fleet left port from Anchorage this morning to make sure this man does not leave,” he advises Mulder during their chat. Of course, this could all be a happy coincidence. 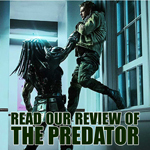 It’s possible to argue that the aliens working at those abortion labs were simply colonists who had gone rogue, and the bounty hunter was being sent into to tidy them up – an operation that had not been cleared with the conspiracy, hence all the hostility. Alternative, it’s reasonable to observe that the writing staff likely didn’t have the specifics of the mythology worked out that far in advance – the “black oil” doesn’t exist yet – and this is just a good thriller. Still, it’s interesting to read Colony and End Game in light of the alien civil war that is revealed in The Red and the Black. It feels like the future of the show is intruding on these early episodes, a blur that will become a bit clearer as the years pass, the image becoming a bit more distinct and discernible with each passing season. It helps that the idea of the alien civil war adds to the religious subtext at work in the show’s mythology. The idea of an alien civil war conjures up the image of a war in heaven. It is a conflict on a scale that human minds almost cannot comprehend. The conspiracy is just one manifestation of this incredibly vast conflict playing out across the galaxy, with mysterious and otherworldly visitors intruding on our world to wage a war that we do not initially understand. These are almost mythical figures locked in combat on a scale almost beyond comprehension. In most cases, you’d imagine that mankind would want to form an alliance with the rebels. The rebels are – after all – opposing colonisation of Earth. It would seem, at least on the surface, that mankind and the rebels have a common interest. The X-Files brutally averts this idea. The rebels are portrayed as just as amoral as the colonists. They are engaged in their own war, with their own objectives and motivations. Their interests are not common to ours, their goals remain their own. The conflict seems to exist on a plane mankind can barely fathom. Colony and End Game really open this sweeping sense of mythology to The X-Files, embracing the idea of alien factions and interests whole-heartedly. Even describing Brian Thompson’s character as a “bounty hunter” conjures up the idea of a richly textured cosmos that the show is willing to leave mysterious. After all, the most famous “alien bounty hunter” in popular culture will always be Boba Fett from The Empire Strikes Back. The X-Files suggests that perhaps the universe is buzzing with activity, and our planet truly is just one tiny insignificant speck. The X-Files never entirely fleshes out the cosmology, and that’s a good thing. It creates a sense than mankind is caught in the middle of a tempest that exists on an unimaginable scale. 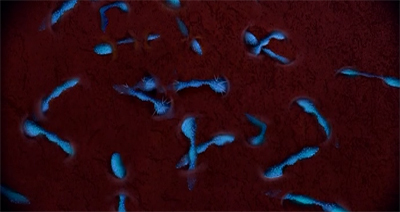 These aliens must look to us like forces of nature – almost completely incomprehensible and impossibly devastating, leaving confused lives destroyed in their wake. After all, the audience may ultimately know little about the colonists, but it is more than Agent Weiss’ family will ever know about the death of their family member. End Game carefully avoids answering too many questions. This becomes a standard holding pattern for The X-Files. 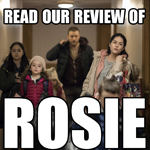 The first part of a two-parter expands the mythology, and the second part tries to resolve plot points without answering too many of those questions. So End Game ends with Mulder losing Samantha once again. It closes leaving Mulder with no proof of extraterrestrial life. It resolves itself with no explanation of the relationship between the government and the colonists or the killer sent to hunt them down. This is an approach that will become frustrating as the show runs on. There are only so many times that the series can play Lucy to Mulder’s Charlie Brown, using “the truth” as a sort of football. Here, Mulder gets Samantha back, only to lose her again. “You can’t put aliens in handcuffs,” Chris Carter is quoted as saying of his refusal to tie up various dangling threads, and he has a point. However, The X-Files would eventually have to confront the fact that drawing out this dance to nine seasons would inevitably be unsatisfying. End Game is packed with all sorts of loose ends. 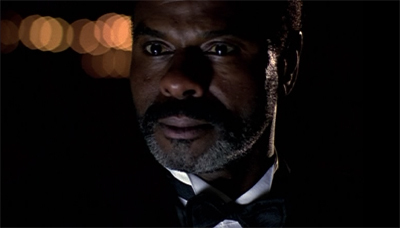 Most obviously, why does the bounty hunter leave Mulder alive? He’s not exactly kill-shy. “He sealed most of the men below decks without any air and then he started to execute the rest of us,” the lone survivor on the submarine confesses. Of course, it turns out that the bounty hunter is the lone survivor. Later on, casting Mulder out on to the ice, he confesses, “If I wanted to, I could’ve killed you many times before.” Why didn’t he? This is another interesting twist that Colony and End Game add to the show’s mythos – along with fleshing out the aliens featured in the show. Colony and End Game heavily imply that Mulder isn’t just some anonymous nobody who has wandered into something far larger than himself. 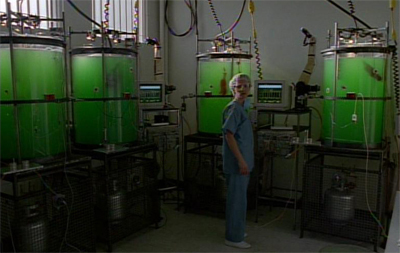 The use of his sister in this cloning experiment suggests that Samantha’s abduction is more important than the other cases already seen in the show’s short run to this point. Along with the bounty hunter’s refusal to kill Mulder, this implies that Mulder isn’t just an everyman who has blundered into the middle of a vast conspiracy. This is the first indication we get that Mulder is being imagined as something of a “Chosen One.” It leads to revelations about his family history in Paperclip and questions about his parentage in Two Fathers. It would seem that the “alien bounty hunter” and the idea of a much larger cosmological conflict aren’t the only parts of Colony and End Game influenced by Star Wars. Up until this point, there had been a sense that Mulder was a powerless outsider, a person whose entire life was turned upside down by a freak event for which he could not account. There was something tragic in that randomness – Fox Mulder could have been one of the most incredible criminal profilers ever to work in the field, but for a freak event in his childhood that shattered his life and left him trying to pick up the pieces. With Colony and End Game, the series loses some of that. 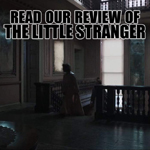 It ceases to be a story about a man whose life was thrown into upheaval by random events outside his ability to comprehend. The show invests pretty heavily in the idea that Mulder was always fundamentally tied to the conspiracy, even if he doesn’t understand it. In Anasazi, we are teased with the idea of Mulder as a “chosen one”, a classical Joseph Campbell hero prophecised to make things right. 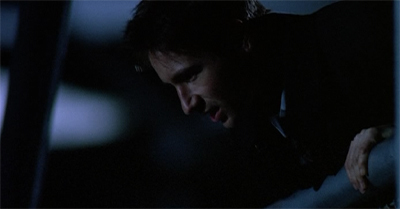 Later on the show implies that Mulder may just be the son of his own worst enemy. This represents a pretty dramatic revision to a show that began as a powerless agent stuck in a shoddy basement office fighting something he didn’t comprehend. Truth be told, the franchise occasionally invested a little bit too heavily in the idea that Mulder was a lynchpin of this massive mythology, rather than simply an outsider seeking to expose it. It’s interesting to see how Colony and End Game bake that into the foundation of the mythology as a whole. 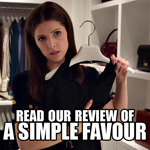 Still, those complaints aside, it is a perfectly logical development from a storytelling point of view. It’s a way of telling a big epic story and a character piece at the same time. After all, gigantic alien civil wars mean nothing if the audience isn’t invested in the characters. Mulder’s quest for Samantha is at the very heart of his character, so bringing it into the story is a no-brainer. If Mulder is crusading for the truth, Samantha has been repeatedly identified as his “holy grail.” Colony and End Game offer a first real glimpse at Mulder’s family. While Beyond the Sea and One Breath allowed us to spend considerable time with Scully’s rather conventional family, Mulder’s family remains a mystery outside of Samantha. What little we know suggests a dysfunctional dynamic – the loss of a daughter at a young age, Mulder’s prophetic nightmares about his father in Roland, the fact that Mulder isn’t on first name terms with his parents. Even the story from Aubrey about his father chewing sesame seeds in his study as Mulder lies awake in bed terrified doesn’t paint a picture of wholesome family life. Colony and End Game confirm this sense of the Mulder family dynamic. Mulder’s surprise at hearing his mother answer the phone at his father’s house in Colony heavily suggests his parents have separated. Mulder’s interactions with his father are awkward at best. In a way, this is another example of The X-Files reflecting the life and times of Generation X. For many of the children born within that bracket, divorce was part of their development. Marriages also changed in the 1970s by ending much more frequently than ever before. The growing emphasis on individual rights came to include the option to divorce as one of the many rights available for pursuing greater happiness and personal growth. The rise in women’s paid employment empowered women in large numbers to consider and often choose being their own economic provider. Indeed, across all industrialised nations, there was a strong correlation between divorce and the percentage of female participation in the paid workforce, categories in which the United States ranked particularly high. Marriage began to lose some of its considerable economic benefits that had long made it attractive. Legal changes followed to grease the skids. Following California’s lead in 1969, forty-six other states in the next eight years enacted some form of no-fault divorce laws, allowing incompatibility rather than specific wrongdoing as satisfactory grounds for ending a marriage. “No-fault” implied that divorce was a normal and natural development, a reasonable occurrence, rather than a result of someone’s particular actions. The results were dramatic. Divorce rates nearly doubled in the 1970s, rising from twelve to twenty-three break-ups per thousand married women per year. In 1975, for example, more than a million couples divorced. Marriages consummated in the late 1970s stood only a 50 percent chance of lasting a lifetime. Summoned unceremoniously to his father’s house in Colony, Fox Mulder is met on the porch by a shadowy figure smoking a cigarette; the identification with Cancer Man is clear and, as later events demonstrate, deliberate. Bill Mulder speaks stiffly to Fox, seems unable to meet his eyes, and deflects a possible embrace with a handshake. Later, in End Game, when the young woman who claimed to be Samantha has vanished, Bill Mulder berates his son, refusing to acknowledge the latter’s obvious grief. It becomes clear that the father has compounded the trauma of Fox’s loss, here briefly reenacted (although this ‘Samantha’ proves to be an alien-human hybrid), and has unjustly added to his son’s sense of guilt. Moreover, Bill Mulder’s remark that “we bury our memories so deep after all that has been destroyed” allies him with repression and denial. He cannot even speak the whole word “sister” to his son after ‘Samantha’ disappears: “Your sis- … Samantha,” he falters. As with so many other X-Files plot developments, it is interesting to wonder how far the writing staff had plotted ahead at this point. In light of what we later learn about Bill Mulder, much of Colony and End Game could be considered foreshadowing – as Mulder is (unwittingly) forced to play out some of the decisions that his father was made decades earlier. Much like the subsequent revelations in The Red and the Black add layers of meaning to the colonisation plot here, much more immediate discoveries ensure that the conversation has an incredible amount of subtext. Paperclip would reveal that Bill Mulder was forced to make a similar choice decades earlier, and he effectively made the same decision as Mulder does here. Unaware of that mistake, Mulder is forced to repeat it. That was my first episode. And I almost got fired. That was not a popular thing, that submarine tower [in Season 2’s “End Game”]. It was like, “You people are crazy. We don’t do this in television.” And then in Season 3, I wrote an episode with a moving train. It was just my ignorance, because I was new to television. I didn’t know that’s a problem, to have a moving train in television. It’s like, “We can’t afford this.” It was a huge thing. This would seem to be borne out. Despite his admitted lack of television experience when he joined the show, Frank Spotnitz is responsible for two of the most iconic images of the first three seasons of The X-Files, both of which serve to give their episodes a bit more scale and scope than they might otherwise have had. 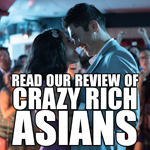 They help to define the mythology episodes as part of the show’s “blockbuster” television. Having Rob Bowman directing End Game helps a great deal. Bowman was the director who helped to codify The X-Files as “cinematic” television, demonstrating that it was possible to produce weekly television that could look like it had been produced for the big screen. Describing The X-Files as a different forty-five minute movie each week is a something of a cliché, but End Game makes it quite clear that the mythology episodes are very much going to fit the framework of “blockbuster” episodes. Scheduling a season of The X-Files involves a number of factors, beginning with sweeps periods in November, February, and May. These three four-week periods are extremely important for network television, because this is when Nielsen undertakes its most extensive ratings analysis of the industry; these ratings affect the kind of advertising that networks draw in for the remainder of the year. Thus, like most other television shows The X-Files aims to place its best episodes—meaning those expected to draw in the highest number of viewers—in these three time periods. 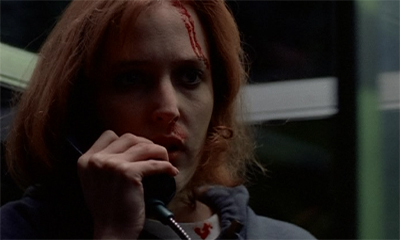 For The X-Files, mythology episodes are often slotted in during sweeps. This wasn’t always the case, but it was frequent enough to become a pattern. The mythology was carried over into the show’s feature film. These episodes would typically feature memorable set pieces and iconic imagery. They would even come to feature more extensive location shooting. The mythology episodes became a big deal to the show. Did the mythology shows become so popular because they were the shows broadcast during the “sweeps”, and were thus given more budget and a higher profile? Or did the show itself succeed because these were the episodes chosen to air during “sweeps” and so put the best foot forward? There’s no way to tell, but it would seem to be a combination of these factors. The mythology shows were well-written and well-produced, making them enjoyable and popular on their own terms; airing during sweeps likely only made them more iconic and more popular. What is also interesting about End Game is how it manages to close off a nice character arc for Mulder without offering any closure whatsoever. The opening scene of Colony and the climax of End Game contextualise this as a story not about Mulder rescuing Samantha. Instead, it’s a story about Mulder having his faith cemented. The episode seems like it’s a complete story because it ends with some movement for Mulder as a character – even if it’s not especially tangible or literal. Reflecting on the experience with Scully, Mulder admits, “I found something I thought I’d lost. Faith to keep looking.” Given that so much of The X-Files is structured around faith in the nineties, this feels like enough to sustain Colony and End Game. It’s a note that is strong enough for the story to close on, a resolution that is personal that does not paint the show into any corners or close off any avenues for further exploration. To be completely honest, this is a holding pattern, and the show seems to recognise it as such. 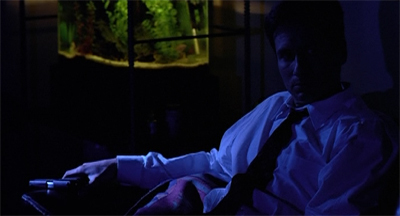 Whenever the series needed to stall for time on the mythology arc, it would give Mulder a crisis for faith. 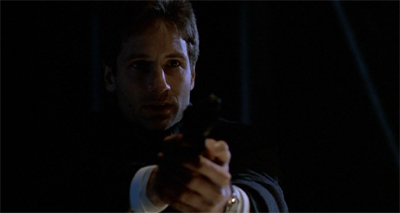 When production realities forced the crew to produce Fight the Future between the fourth and fifth seasons while releasing it between the fifth and sixth, the fifth season stalled its mythology arc by having Mulder lose and regain his faith. Indeed, End Game isn’t even the first time Mulder’s faith has been affirmed this season. That was the entire point of Little Green Men. Along with the show’s refusal to provide answers or closure, this trend would eventually become quite annoying and distracting. And, yet, it works within the context of Colony and End Game. So much has happened, and so much has been set-up, that it doesn’t matter too much. Mulder’s affirmation of his faith is a nice capstone to a phenomenal two episodes of television. As with a lot of Colony and End Game, there are ingredients here that the show would eventually exhaust, but everything feels fresh and exciting this time around. And all of this is without going into any of the smaller wonderful moments that populate End Game. 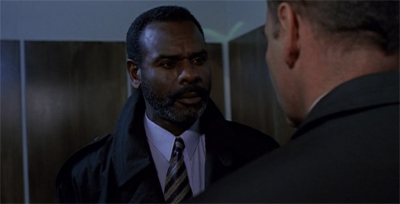 Steven Williams’ Mr. X remains a delightfully cranky informant. “How was the opera?” Mulder asks. Mr. X replies, “Wonderful, I’ve never slept better.” It’s hard not to see Mr. X as a cranky middle-management type who really resents his job and the life that comes with it – not so much the executions and murder, as the trappings and expectations. One gets the sense that he’s attending the opera because that’s the sort of thing that men in his position are expected to do. Mr. X must be great fun on the company picnic. It’s a shame that the show didn’t bring him back for Mulder’s idealised life Amor Fati in the seventh season. You imagine he’d be the guy running the local Resident’s Association with an iron fist and no patience for kids playing on the grass. Despite the fact that we never actually learn much of substance about Mr. X, Williams imbues him with a wonderful sense of life and complexity. 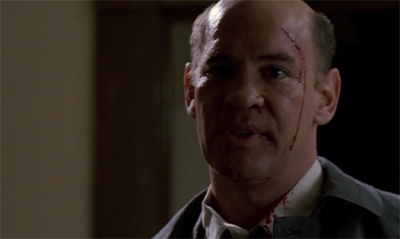 Similarly, Mitch Pileggi gets to do some great work as Skinner here, demonstrating that he is very much an ally to Mulder and Scully, despite their initial (and continued) friction. In Colony, he seems surprisingly sensitive when Mulder has a family emergency. 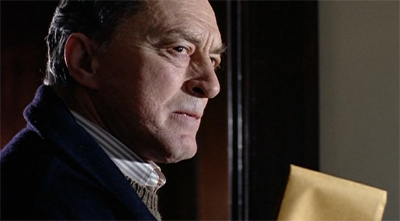 Here, he steps up to bat for an agent who really has never done anything to show any appreciation for his supervisor. 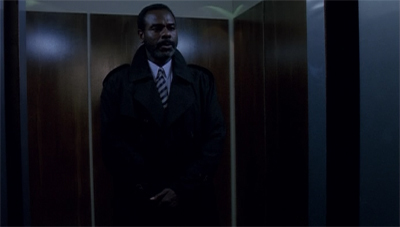 Skinner and Mr. X are among the show’s best supporting characters, so throwing them into an elevator together is a recipe for success. There’s also the wonderfully disturbing visual of the bounty hunter attacking Scully while in Mulder’s form. It’s one of the most unsettling images in a season that includes Irresistible and The Host. To be fair, having Scully abducted as leverage against Mulder for a second time in the same season does feel a bit excessive, but the attack in the motel is one of the most disturbing sequences in the show’s run. In a way, it is perhaps a literal expression of just how much collateral damage Mulder has caused for Scully. That said, it is possible to read the end of End Game as an inversion of the ending to One Breath. In One Breath, Scully awakens from her coma to reveal that Mulder’s faith saved her. In End Game, Scully’s science ultimately save Mulder. 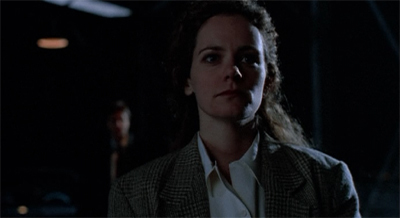 However, this reading is somewhat undercut by the fact that Scully feels like a peripheral figure in both narratives. The second season never felt like it made the most effective use of Gillian Anderson, even after she returned from maternity leave. Still, the series would get better at it in the years ahead. End Game is a fantastic piece of television, and one that sets the tone for the rest of the show’s mythology. While some of the trends and elements introduced here would outstay their welcome, pretty much everything here works perfectly. It’s a credit to all involved. 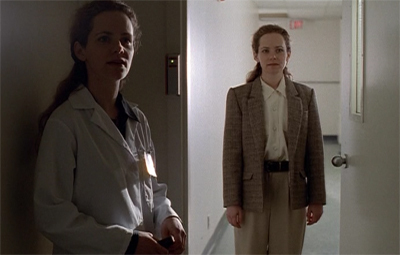 Colony and End Game remains my favourite X-Files two-parter of all time. Even after the events earlier in the season, it felt like the show was really stepping up a gear. I haven’t seen it in years. 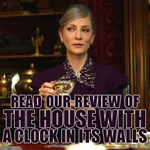 Inspired by this review, I have decided to rectify that tonight! I really like it, but I particularly enjoy it as part of a Patient X/The Red and the Black two-parter double-bill. It is very much “The X-Files does Star Wars”, but from the perspective of people stuck on the ground. Which is fascinating, even if I have serious misgivings about the “Mulder as the Chosen One” elements. Personally, I think Nisei/731 is my favourite mythology two-parter, but I like Max/Tempus Fugit more than most and will admit that Gethesemene/Redux I/Redux II is a three-parter I probably like more than I should. Which, looking at it, is weird. I seem to like mythology episodes that explore what has already been revealed rather than pushing boldly forward.